Today’s business environment is characterized by cut-throat competition and businessmen today need always to be in a position of strategic advantage when it comes to engaging and winning over new clients, business partners and investors. Businesses are complex and require multiple stakeholders to ensure success. Different stakeholders of a business may include investors who contribute capital to set up a business, business partners who help you take the business ahead, clients and customers, and even vendors and suppliers are all important stakeholders for a successful business. As a businessperson you are often required to make detailed business presentations to convert these stakeholders. Your efforts during these presentations are crafted to influence the audience and get important decisions in favor of your business. Therefore, creating a good PPT presentation is really a big deal for your business success. Design is as important an ingredient of a successful business presentation as the content itself is. The theme you select for your presentation plays a very crucial role in the overall success of your presentation. A thoughtful selection of the background theme for a PPT presentation can actually have a substantial effect on the present audience. You need a suitable PowerPoint theme to create an effective business presentation that is unique, appealing, and easy to grasp. But, it can be actually very intriguing to create a presentation that is good with subject matter as well as design. However, this doesn't mean that you need be a graphic designer to be able to come up with PowerPoint slides which are visually attractive. Using PowerPoint templates ensures professional design to fill in your content. Following are a few of the many reasons why you should use PowerPoint templates for your all important business presentations. PowerPoint templates you download from an online library built by seasoned designers are usually better as far as visual appeal is concerned. Experienced designers create PowerPoint themes keeping legibility, professional color scheme and typefaces in mind. This reduces the production time of coming up with a visually appealing and effective presentation. You may consider custom design of your upcoming presentation which is very important for you. But it is sure to be costly affair to hire a designer for custom design. If you are working with a limited budget or do not want to spend much on a presentation in general, using pre-formatted PPT templates is the best option. With a good provider of PowerPoint templates like editabletemplates.com, you have so many themes to choose from. Entities providing design templates employ dedicated specialist designers to create multiple themes on a single topic. With these providers at you service, you are sure to find an original design which perfectly suits your requirement at hand. This ensures variety as well as relevance of themes for all your important business presentations. PowerPoint templates secured from an online library have cross-platform compatibility. Operating systems, versions of PowerPoint and other editing softwares are no limitation with such templates. It means they can be used with different operating systems and can be edited with different versions of editing software. 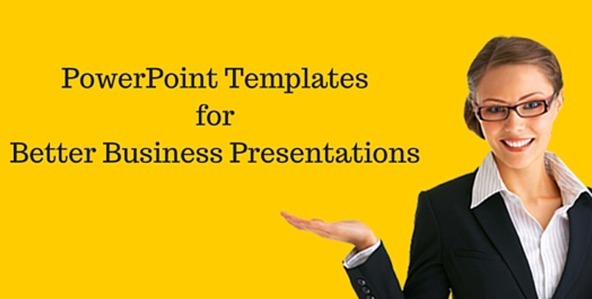 The above mentioned points prove that using pre-designed PowerPoint templates can help you create effective business presentations without breaking your bank.